TL;DR: The B1 designed to be the best work EV possible, and 10,001 pound weight gives it special status. 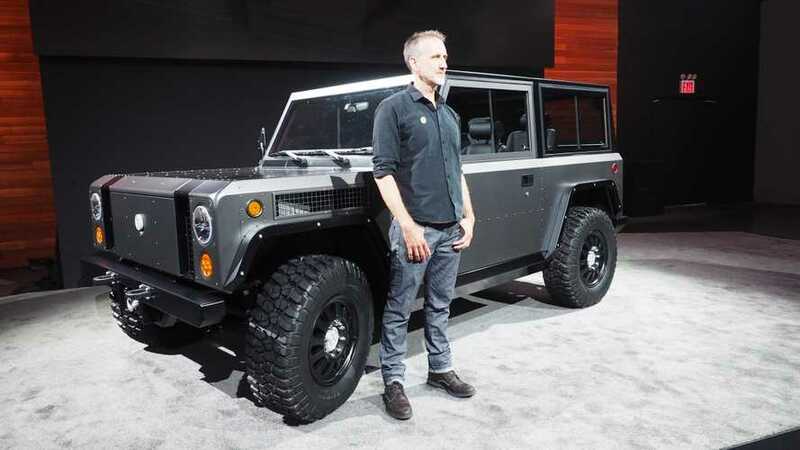 For a small company, Bollinger Motors put on a big event in New York City last week. Swanky digs, good music, and the Hudson River just a few feet away. But the focus was on the new electric truck that the company was debuting on stage. Robert Bollinger, the CEO of his namesake company, knew that the EV needed to roll on stage and capture people's imagination. The B1, as the truck is called, did get some media attention before the Tesla Model 3 party happened in California the next night. 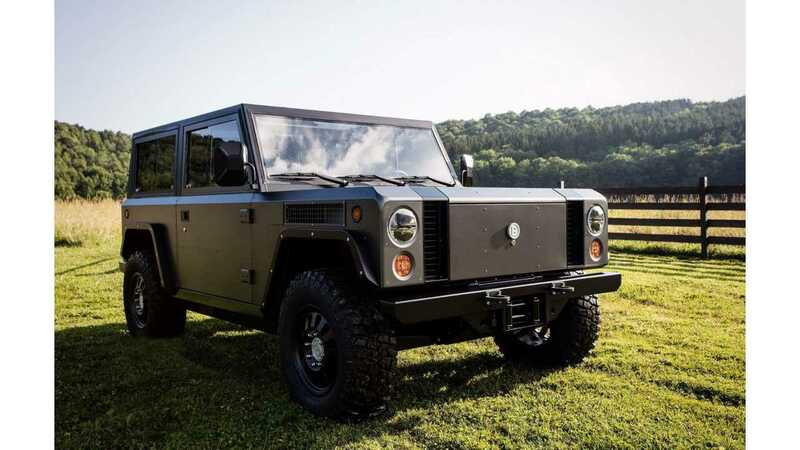 Now that the hype has quieted down a bit, we wanted to return to the Bollinger event, and get some more details about the EV and Bollinger's plans for the near future. InsideEVs: What is the one message that you wanted people to take away from the debut, now that we get to see the truck? We were trying to think, 'What if you started from scratch? What's the best power train? What's the best wheel base? What's the best clearance? What're the best dimensions?' We had a chassis before we had a final design. That chassis had to hold this, had to do this. It really did grow from the inside out. I remember many different designs. The reason for the flat panels is that we could bend them ourselves. We ended up sending them off to some benders to bend because we are too busy with a million things. We didn't want to do forming and all these additional costs because it's the way I like it and you can actually make it yourself in a shop if you want to. InsideEVs: When you say everything was on the table and you started to design it from the ground up and even, "what's the best powertrain." Does that mean it was not designed necessarily as an electric from the get-go? Bollinger: Oh, no, it was. Right away I knew electric was the only power train you could use. Especially for off-road. Especially for trucks. It was always electric from the very beginning. There was no doubt about that. And of course it led to the kind of features with it all below your feet. InsideEVs: The weight of 10,001 pounds is very important because it makes it a Class 3 Truck. What can you say about the decision to do that? What are the benefits to you? What are the benefits to the buyer and user? Bollinger: When we designed the current prototype, we had an idea for a certain model and certain other styles to come out in the future. To make it all based on a lot of learning that we do now for Class 3 is important for that. It's really about in the same way that tells us that, 'okay, electric can be really fast,' we're saying that electric can be really tough. Electric can do anything you need it to do. We are going to be fully road legal to federal motor vehicle safety standards as a Class 3 Truck. We do not need to do airbags, and we do not need to do crash testing as an entry point. What do we do as we get bigger and all that kind of stuff is another question. Right now we know we fit in a class if it goes this way, if we want to bring in the safety standards, we can do that at a later date or before this goes to production. The big thing is us finding the manufacturing method that we want to do most, whether it's fully third party or half third party to make major components for us. At that point, we can say we can engineer in these huge costs to engineering and crash testing and airbags. That's all possible and all doable. Right now it's a prototype, let's get it to where it is legal, and what the federal government thinks is safe. InsideEVs: What do you see as the main reason people are going to buy the B1. Obviously it's a very functional vehicle, and could easily be used at a construction site. The press lease talks about how much plywood you can put in, the two by fours you can put in. Do you see it more as that, or do you more see it for people who are going to drive to the Catskills to go adventuring? Bollinger: Well, when you look at the interior, we don't have a big touch screen. I like to think of it as back to basics, hands-on truck. If you need to throw wood in it, or you want to just go up that mountain. 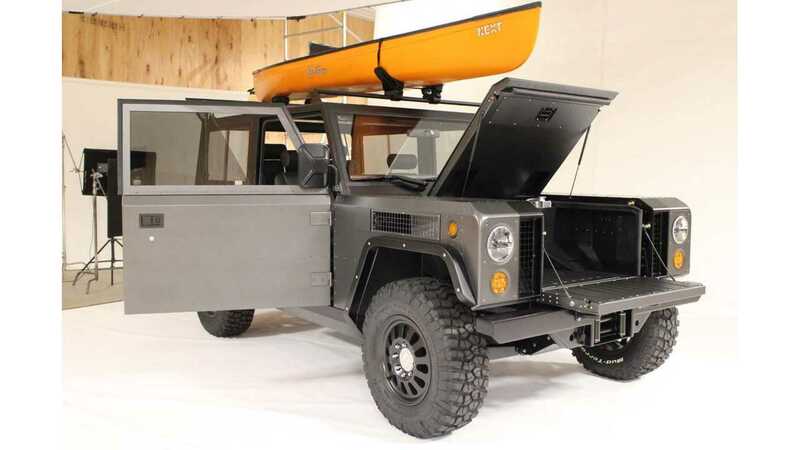 It's really 'off-road meets utility.' Now that we have been talking to this other vendor about the other level of battery, it's also a great commuter. A lot of people have that 200-mile number in their head – 120 miles is still three or four times more than the average day, so I had no problem with that range – but, our first objective was that you feel you can use this truck. Go beat the hell out of it. InsideEVs: Do you have a sales model in mind as far as partnering with established dealerships, selling them through the website? Bollinger: My first thought was direct sales, because an EV needs to kind of go down that path. We're keeping everything open. I was just talking to a wonderful gentleman about dealerships. There are a lot of benefits, but nothing is set. Bollinger told us a few more things, too. Pricing should be made public by the end of the year. The 60-kWh and 100-kWh battery packs will be made by two different (and unnamed) vendors, for now. In a year or two, Bollinger might choose to go with only one, but for now, "we like keeping our options open." Speaking of which, he said the truck has CHAdeMO the most popular in the US, but the truck's connector could change as well if SAE Combo takes off. He said his goal is to have the first vehicle come off the line in early 2019. 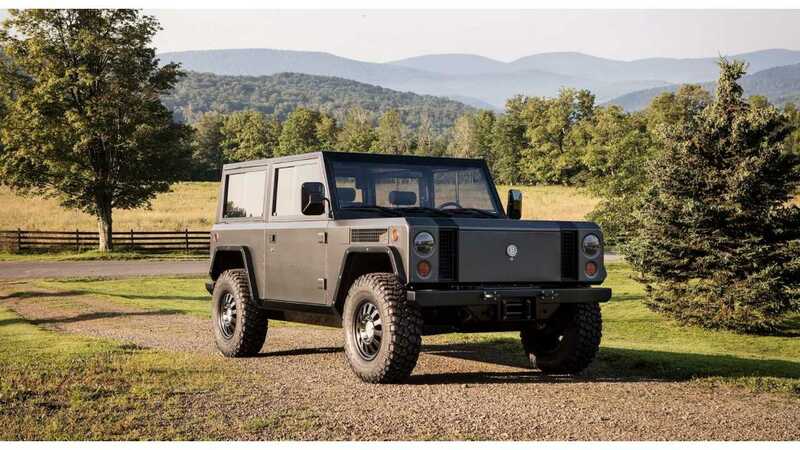 The vehicle that the company showed in New York last week will be at the Los Angeles Auto Show this fall, and for the 2018 New York Auto Show, Bollinger hopes to bring something new. What will that be? Wait and see.